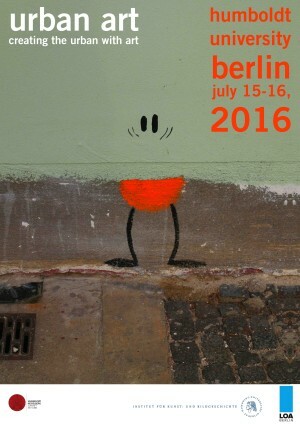 The conference is dedicated to new forms of art and activism in urban spaces. First known under the label of ‘Street Art’ the term has expanded to include diverse artistic and visual interventions in the exterior space. In contrast to the traditional term ‘public art’ urban art is very inclusive. Thus, it is both part of and reflective of current processes of global urbanization. The challenge for a scientific approach towards Urban Art consists in its heterogeneity. Like the current forms of urbanism, Urban Art is in itself ephemeral, mobile, virtual, entertaining and at the same time often political. Here the transitions between art, architecture, city planning, urban design and politics are in constant flux. The workshop aims at the discussion and exploration of these interrelated topics and their contradictions. The conference is open for a general public.